WAMPUM, Pa. (Aug. 26)— The KWR team brought home solid finishes this weekend at Pittsburgh International Race Complex. 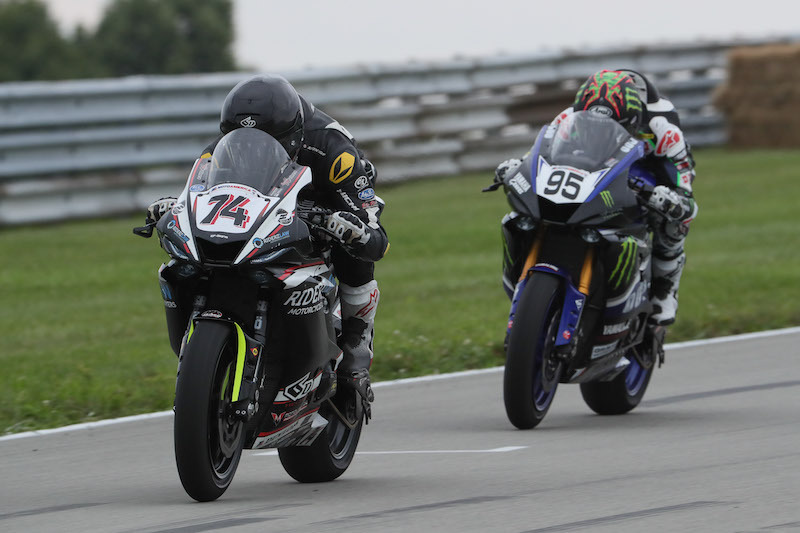 Kyle Wyman finished 10th/8th in Superbike races one and two on his Harv’s/KWR Yamaha, while Bryce Prince scored his first ever podium results in the Supersport class with a 3rd/3rd on the weekend on his RiderzLaw/KWR Yamaha. For Wyman, the weekend started out with a new suspension package on his Superbike. The KWR team went to work developing and working with the Ohlins forks and shock to get Wyman comfortable on the bike, trying multiple valving settings throughout the day. In Saturday’s Superpole session, Wyman was able to put his Yamaha 6th on the grid, his best qualifying result of the season. Wyman found himself 5th after the turn one shuffling, and remained right in the lead group for over two laps. It was the first time all year that he’d gotten off with the leaders and stayed there for a bit, and brought confidence to the entire KWR crew. 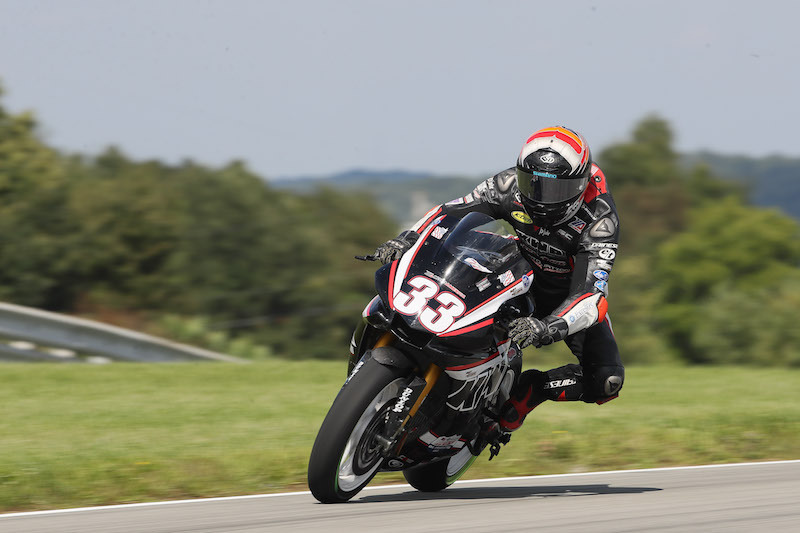 Wyman’s fatigue was likely caused by overworking and overtraining, as he spent four days at Pittsburgh before the race weekend started, conducting two-up rides and coaching riders for the likes of N2 Track Days and Yamaha Champions Riding School. Wyman rode 7 of 9 days spent at the circuit total. 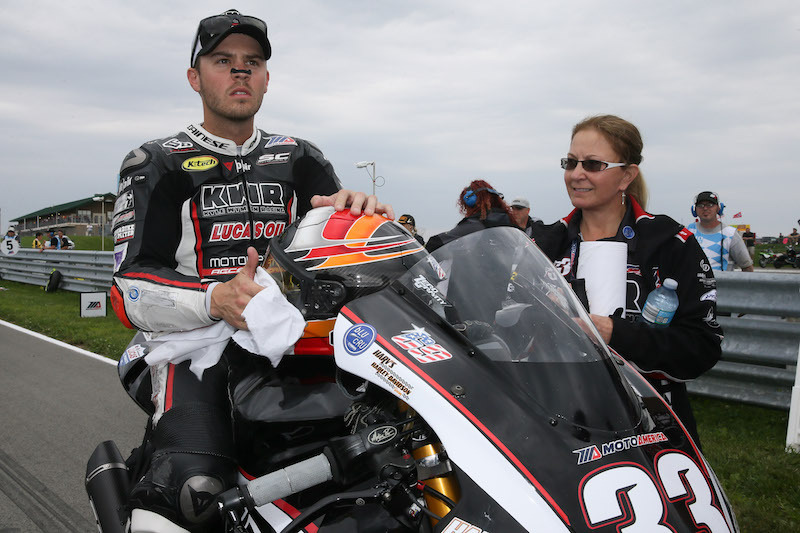 Asked about the prospect of another podium finish at New Jersey Motorsports Park, Wyman says he’s feeling even more confident than he did last year, where we scored his first career podium with a 2nd place finish in race two. 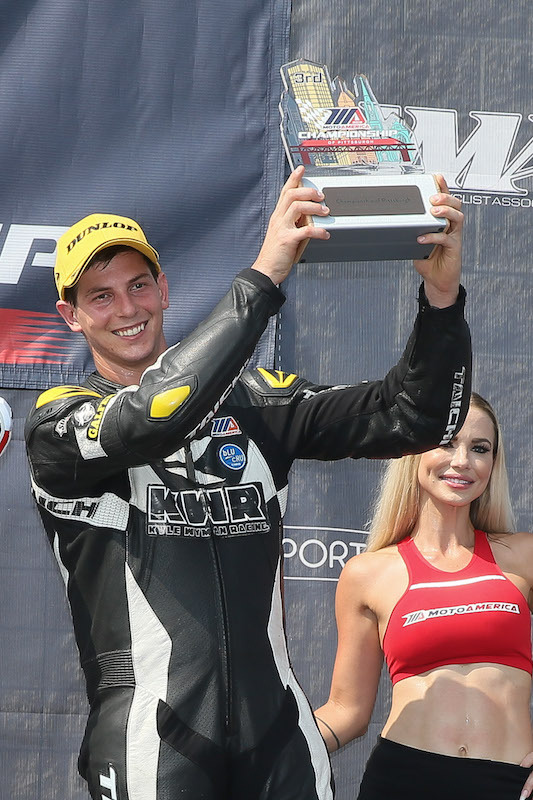 The New Jersey MotoAmerica round is in two week’s time, September 7-9, 2018. Prince battled hard with points leader JD Beach nearly flag-to-flag in race one, beating out the factory rider in a last lap duel, in spectacular fashion. A well-earned first podium for Prince gave him the confidence to repeat the feat on Sunday. Prince jumped to 4th in series points standings from 7th, and now is only 14 points shy of the third place competitor and Saturday race-winner Valentin Debise. Prince also earned the fastest lap of the race in Sunday’s race two. The MotoAmericaseries heads to New Jersey Motorsports Park in Millville, N.J., September 7-9, 2018. Stay tuned for news and updates in the coming week.